Welcome to PreK-2, the 3's class! Our primary objective in PreK-2 is to have the children enjoy school. We want them to enjoy learning, playing with friends, being part of a group, working alone, gaining independence, creatively expressing themselves, and so much more! 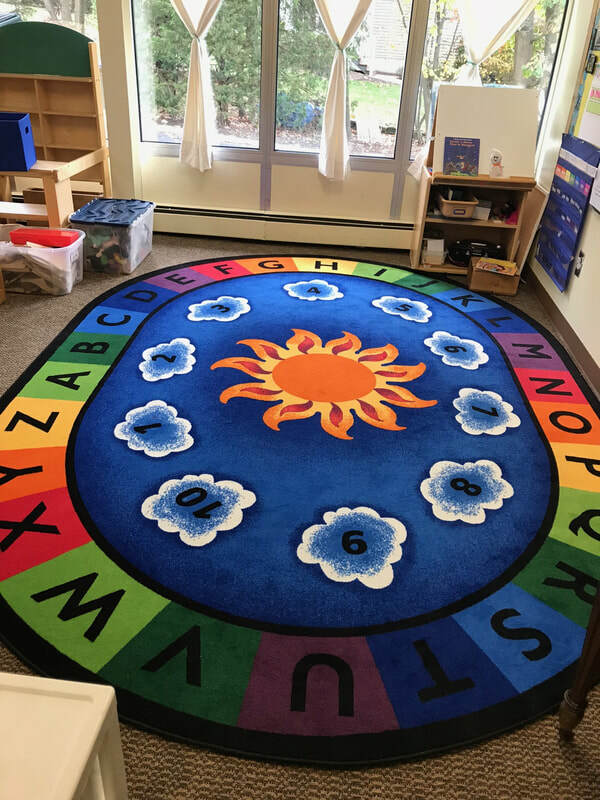 Our "work time" activities of each day correspond to units of learning such as the alphabet, math, seasons, holidays, colors, shapes, fine arts, and many more topics. Play is an important aspect in PreK-2. During free play, the children will have opportunities to explore our units of learning. ​The students also discover how to play amongst friends or independently. There are numerous centers during free play, which includes the sand table, dollhouse, kitchen, light table, wooden blocks, legos, play dough, puzzles, and so much more! The children are able to choose their play options; we just help monitor play time.